The blawg previously commented on the ongoing issues surrounding California’s ban on the sale of foie gras, particularly the idea of giving away foie gras as a “complimentary side” when selling some other food. Last week Animal Legal Defense Fund filed another suit in the battle, arguing that La Toque restaurant was illegally selling foie gras in violation of California’s Health and Safety Code § 25982. The suit, however, is somewhat of a moot point. On January 7th the California District Court overturned the Health and Safety Code banning the sale of foie gras, granting partial summary judgment to the plaintiffs, among whom is Hot’s Restaurant Group, the aforementioned makers of the complimentary foie gras side. The District Court summarize the issue as “whether a sales ban on products containing a constituent that was produced in a particular manner is an “ingredient requirement” under Poultry Products Inspection Act (PPIA).” The plaintiffs argued that the PPIA preempts the Health and Safety Code. Judge Stephen V. Wilson agreed, and has enjoined the California Attorney General from enforcing the law. In summary, PPIA is a federal law that regulates the sale and distribution of birds and expressly prohibits states from imposing certain conditions on food and ingredients. Judge Wilson held that the Health and Safety Code, which is a state law, was in conflict with the federal law, and that the federal law must be held above state regulations. The “production” of including fatty liver in the sales of food is, apparently, an ingredient, and therefore must be regulated, with regards to foie gras, at the federal level. Health and Safety Code § 25981, which bans the practice of force feeding a bird for the purpose of fattening the liver, was not before the District Court, and remains in effect. Also, there are several other facets of the plaintiff’s argument that were not granted summary judgment, including a Commerce Clause attack. 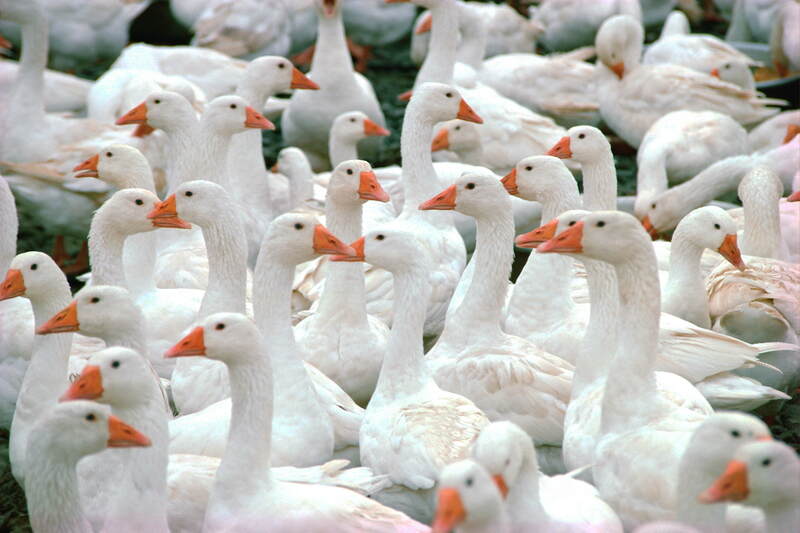 The Commerce Clause argument and the remaining section banning “production” still presents an important argument, although the restaurants’ main challenge has now been overcome; Californian restaurants largely import all of their foie gras, thus the production bar will have a much smaller impact.